Safely Share Passwords With Team. Selectively share passwords with your team members and track 'who' accessed 'what' password and 'when'. Safely share passwords with the members of your organization. Share common passwords in your organization with different levels of access privileges for each person. Keep your passwords safe while sharing them by disabling plain-text view. 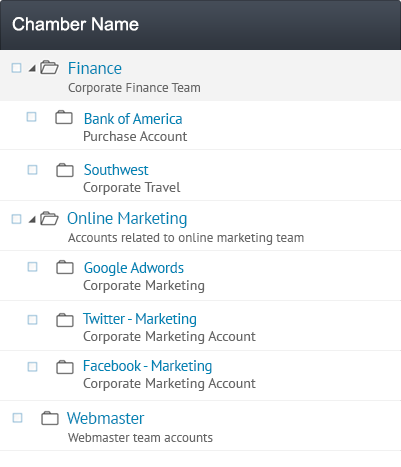 Grant access to your trusted business partners, or revoke access in real-time with only one click. 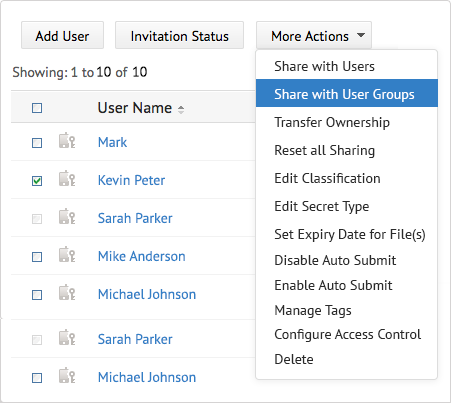 Share chambers with users and user groups. Organize a collection of secrets into a chamber to make them easier to share. For example, you could share a chamber with your marketing group in one click, and any members added to that group in the future will automatically get access to the chamber as well. Establish a request-release mechanism for tighter controls. 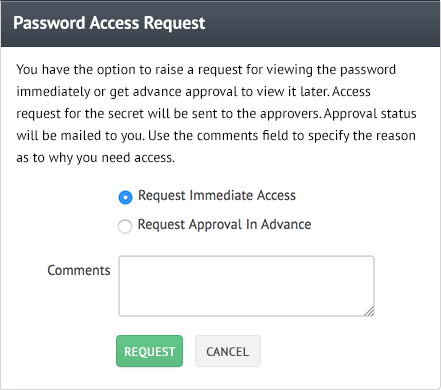 Configure an additional layer of security by establishing request-release access controls for passwords. Add another layer of security by having users request to see secrets.